[Ed. Note: Also read Forgotten Victims - Parent Birds. We found each shed filled with exhausted, debeaked and debilitated hens suffering severe feather loss mixed together with young virile roosters. 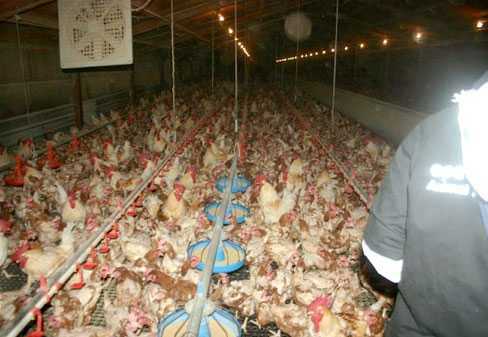 There were no cages, all the birds were tightly packed together on metal flooring. We saw a couple old battle scarred roosters limping about who had obviously missed the ‘old’ rooster cull. This is called ’spiking’ in the industry - where they kill the older male birds at around 50 weeks of age and replace them with young roosters to further boost the economic productivity of the already exhausted hens. Hens who are laying the eggs which after hatching will be the future battery hens, barn-laid hens and free range hens who lay the eggs people eat. This night our team had planned to inspect some RSPCA approved barn-laid egg sheds but upon arrival we discovered these sheds had been depopulated and were awaiting the next batch of victims. We’ve been inside these same sheds before and filmed the overcrowding, debeaking, cannibalism and torment. As we stood in the cold night air at midnight near these empty sheds we could hear plaintive and eerie wailing noises followed by piercing screams in the distance. We followed our ears and several paddocks away we found two huge sheds both brightly lit in the middle of the night. Each shed was filled with exhausted, debeaked and debilitated hens suffering severe feather loss mixed together with young virile roosters. There were no cages, all the birds were tightly packed together on metal flooring. We saw a couple old battle scarred roosters limping about who had obviously missed the ‘old’ rooster cull. This is called ’spiking’ in the industry - where they kill the older male birds at around 50 weeks of age and replace them with young roosters to further boost the economic productivity of the already exhausted hens. Hens who are laying the eggs which after hatching will be the future battery hens, barn-laid hens and free range hens who lay the eggs people eat. 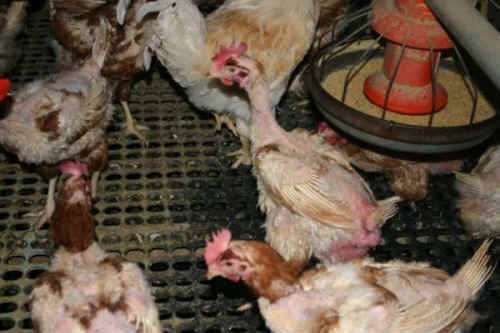 It was clear that the hens were being repeatedly mated with no escape, their backs were red raw. The hens are ISA laying hens. The shed was extremely overcrowded, the birds had little room to move, and the thousands upon thousands of birds had only hard metal flooring to stand on and their claws were sore and damaged. You can see the photos we took above, but these won’t let you hear their chilling screams and wails. 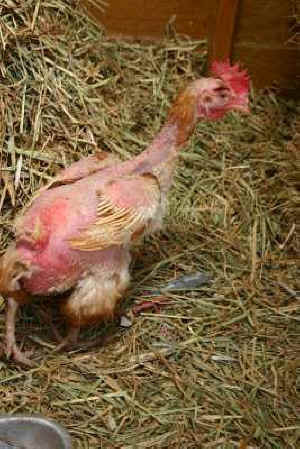 The conditions were so appalling and distressing for these feeble birds that it reduced rescue team members to tears. But our loyalty to these suffering animals will NEVER EVER be reduced. We are there for them and will do whatever it takes to help them. You can help. Please forward this blog to your family and friends so they know who they are eating and that there’s a better way, so we can all live healthy and fulfilling lives!